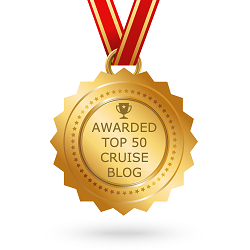 Home › General Cruise Articles › Ships That Make You Go Oooh! Ships That Make You Go Oooh! 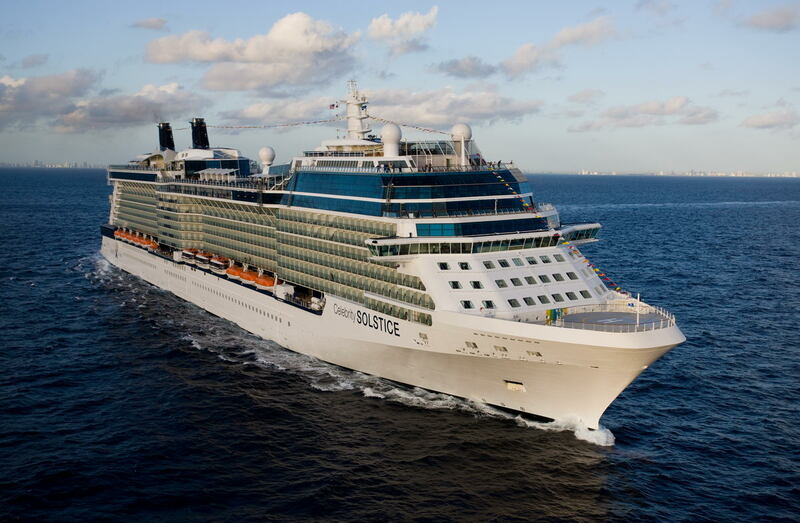 I think Celebrity Cruises has one of the most attractive fleets at sea but the Solstice class is something else! The first Celebrity Cruises ship I ever set eyes upon was in fact Celebrity Solstice and I remember thinking to myself WOW! that is some ship! 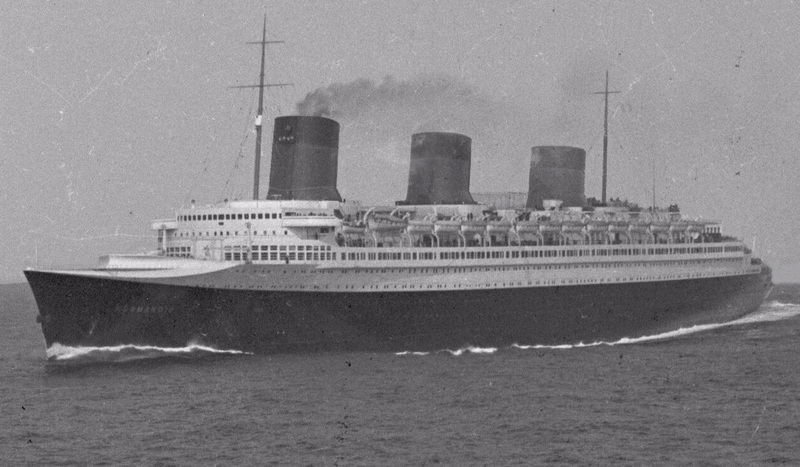 The ship I was on at the time was nice, but Solstice was far more attractive! 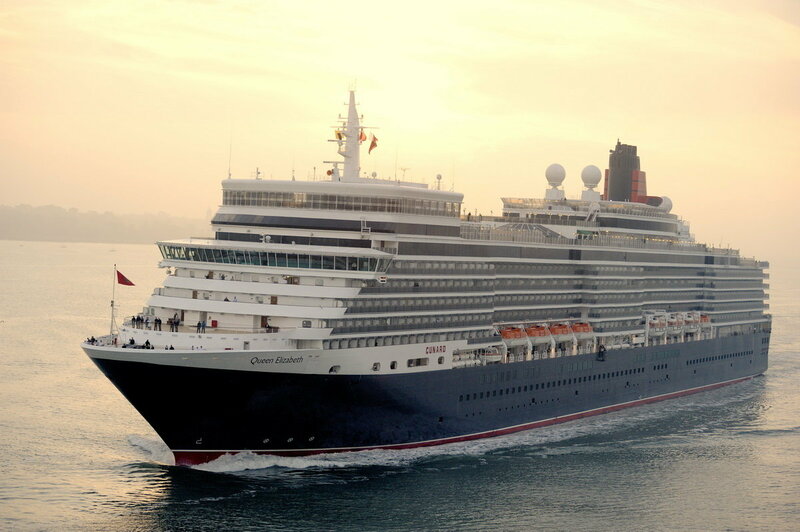 I think all three of Cunard’s Queens offer us ship lovers something special but I decided to highlight Queen Elizabeth because every time I see her I am in awe. The colour scheme definitely has a lot to do with it. Her cousins over at Holland America Line are attractive too but there’s just something about that red funnel that pushes Elizabeth ahead. She is elegant and she lets you know it. Ventura is my over-sized baby! I love that ship! She may not be quite as easy on the eye as the above but she has a little something that works for me. 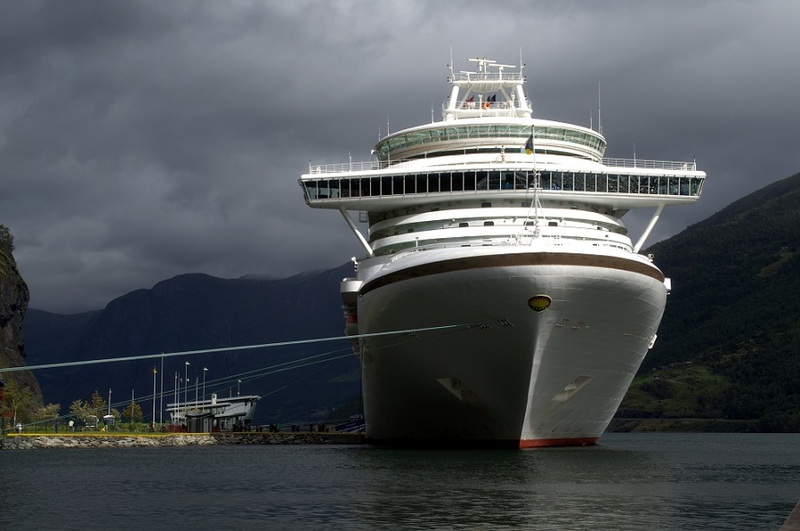 Her big long bow almost kissing you as she welcomes you back after a day exploring ashore. I am curious to see how she will flaunt her new Union Jack and blue funnel in 2015. Now she was a ship! Excuse me, ocean liner! Visually she was a real beauty but surprisingly she wasn’t a commercial success. She met a miserable end in New York but when she was in her prime and sailing the open ocean she owned it completely! I know I said today’s blog was all about visual treats but I really do wish I could go back in time and experience what she was like onboard. Now these two BIG sisters leave me totally transfixed! 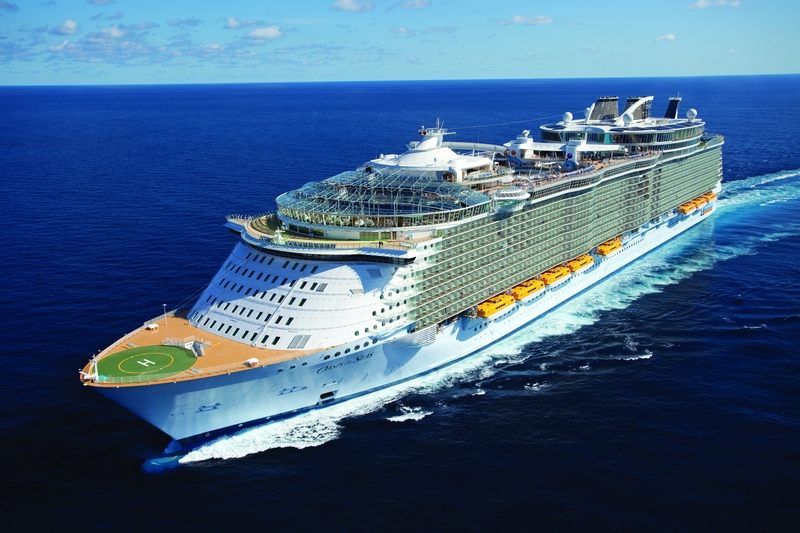 Royal Caribbean really did break the mould when they introduced the Oasis class. I am yet to see either of these beauties in the flesh but I am hoping to see Oasis when she visits Southampton in October. Until then I shall continue to admire them from afar. 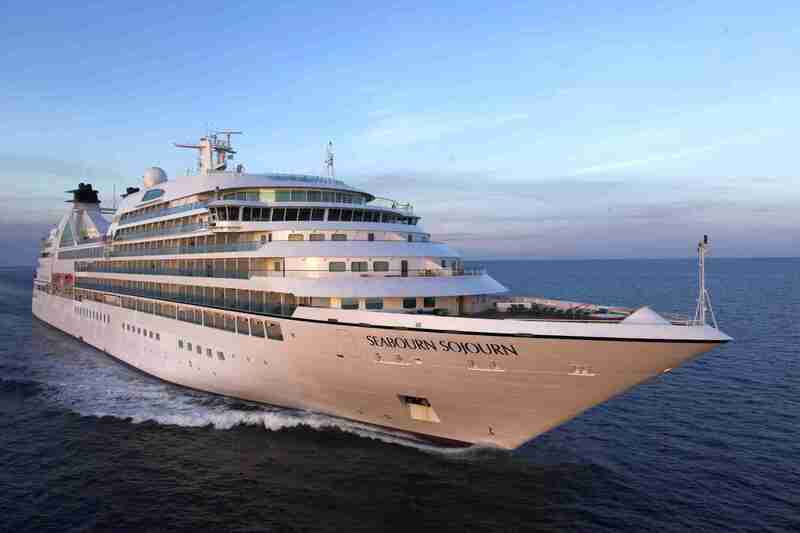 If ever a ship SCREAMED luxury without you even having to step foot aboard then that ship is Seabourn Sojourn. I was lucky enough to get onboard in 2012 and trust me, her interior is just as impressive as her exterior. 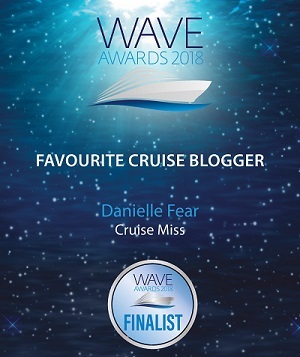 I love her sleek design and the fact she has a hot tub right at the end of her bow! 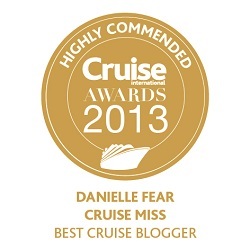 I know…..I mentioned a feature, i’m sorry! Of all NCL’s ships, Getaway is the only one that has ever really grabbed my attention and in a good way. 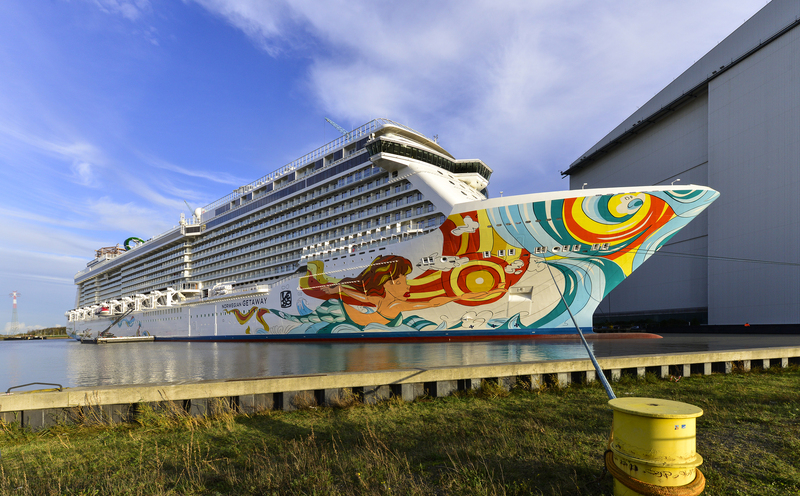 I am not a huge lover of hull art but I do quite like the design that hugs Norwegian Getaway. She is wrapped in happy, light and inviting colours and I think that’s what drew me to her – her positive colour vibes! What ships make you go oooh?